Prayer and speaking the Word over your children are two very powerful weapons that parents have in shaping the lives and character of their children. 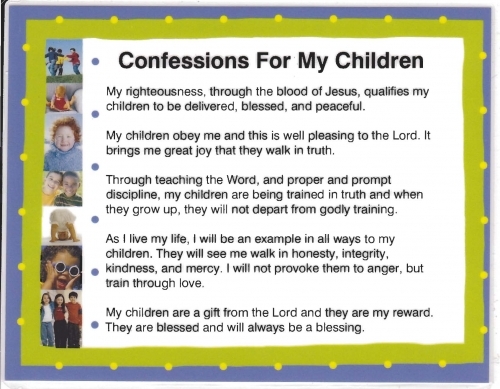 Confessions For My Children is a simple tool you can use daily to bless your children. The confessions are based on scripture. The Word, mixed with faith, will change the lives of your descendants!